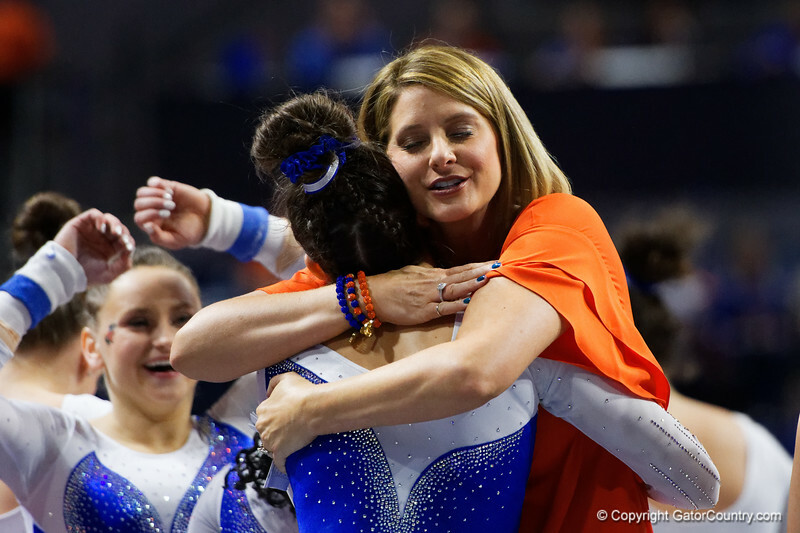 University of Florida Gators gymnastics head coach Jenny Rowland congratulates Rachel Slocum after her vault routine as the Gators host the University of Georgia Bulldogs in Exactech Arena at the Stephen C. O'Connell Center in Gainesville, Florida. February 9th, 2018. Gator Country photo by David Bowie.